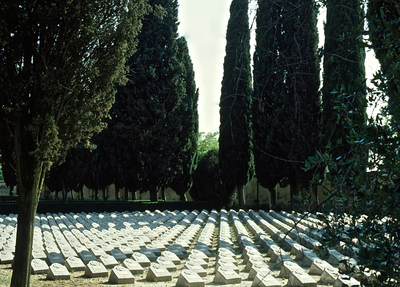 The Austro-Hungarian cemetery of Palmanova is one of the main war cemeteries in Friuli Venezia Giulia and accommodates the remains of over 17,000 soldiers, most of them from the areas around Gorizia. It can be easily reached from the Highway by taking the exit for Palmanova, then turning left towards town. Once you reach the town walls, make a left and take regional road SR252 to Codroipo, and you will see the cemetery entrance after a few hundred metres on the left. 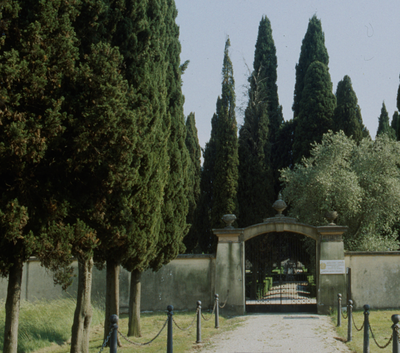 The graveyard is crossed by a wide avenue lined by cypresses, where 4000 identified soldiers are buried. Graves are arranged in an orderly fashion and consist of simple concrete slabs bearing names in bas-relief and a small cross. A memorial in honour of the fallen soldiers stands in the middle of the avenue. 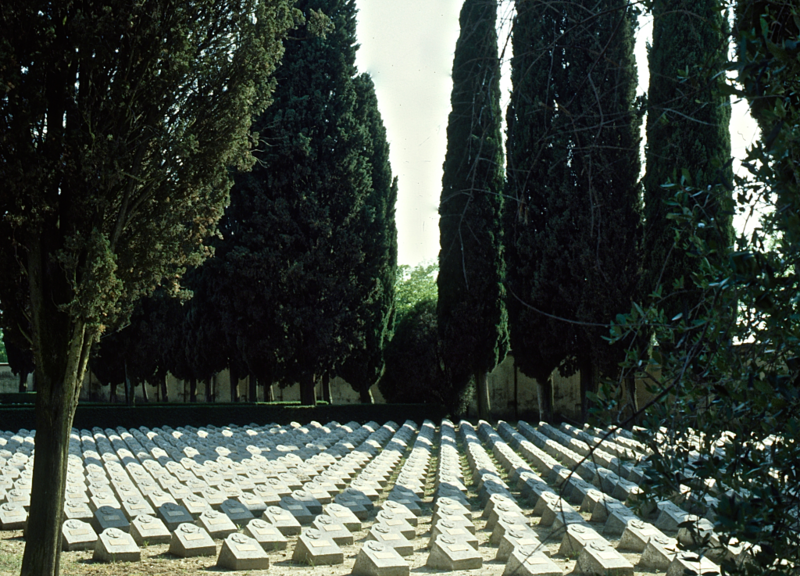 At the very end of the cemetery, next to the perimeter wall, you can see a chapel and two large mass graves where the remains of over 13,000 unknown soldiers were buried. The small chapel is dedicated to the fallen soldiers and features a stone altar inside and a painting representing a dying Christ behind it. On the left wall, instead, you can see a flag with the emblem of the Austro-Hungarian Empire.